At Dawn, we have strong conviction in the opportunity for ambitious and sophisticated software companies to partner with the world’s largest financial institutions to build and support next-generation financial infrastructure. Whether it is core systems, payments infrastructure or data and analytics platforms, the market is flush with exciting new entrants supporting innovation in the sector. We’ve spent the last decade investing in B2B FinTech and software businesses, and in the course our journey with companies such as Collibra, Quantexa, or Divido, we see an evermore collaborative spirit in the financial services sector and a willingness to take advantage of the opportunities opened up by the latest technologies deployed through modern SaaS offerings. And so, Dawn is delighted to announce today its new investment in OpenGamma, whose analytics solutions allow the world’s banks, hedge funds and asset managers to dramatically reduce the cost of trading derivatives. We are leading the company’s $10m funding round with participation from existing investors Accel, CME Group, and ex-Sungard CEO Cris Conde. OpenGamma falls exactly at the nexus of a Dawn investment sweetspot in SaaS and FinTech, and we are thrilled to be partnering with a fantastic team building a world-class company in both these domains. 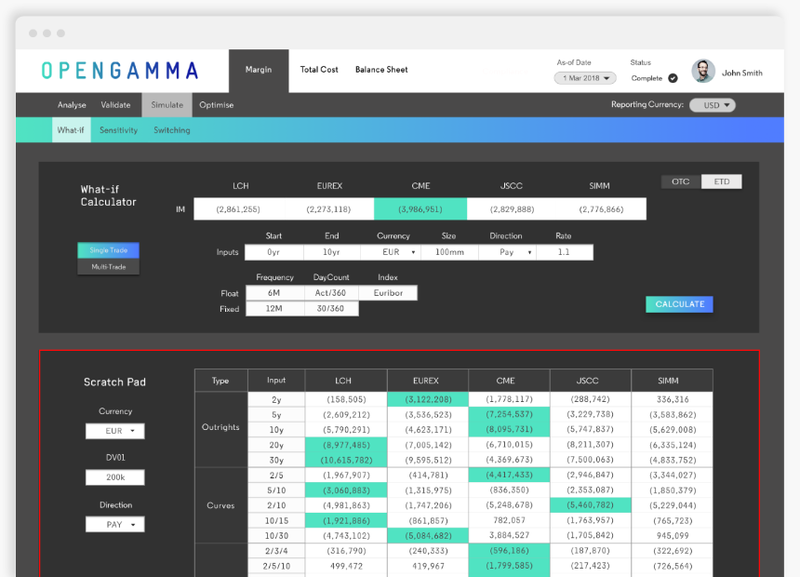 OpenGamma’s unique cloud-deployed analytics platform enables firms to better understand and optimise their margin requirements, which is vitally important to these firms as regulatory pressures continue to drive up trading costs. With deep expertise in OTC and ETD margin methodologies and unique coverage and relationships with banks and Central Clearing Counterparties (CCPs), OpenGamma is now a trusted partner supporting 5 of the world’s top 10 investment banks and leading global institutional managers in their derivatives trading activities. Since the last financial crisis, regulatory bodies have swelled to manage the tomes of new regulation designed to make capital markets safer, more stable and more transparent. In many cases, the regulations are still rolling out over a decade later and their full impact is only now being felt. This is particularly true in the global derivatives market. Back in 2009, G20 leaders at the Pittsburgh Summit resolved to reduce leverage in the global derivatives market and combat excessive risk-taking. Measures included a move to mandatory clearing of trades and the implementation of margin requirements for non-centrally cleared derivatives. The framework for uncleared margin rules (UMR) was finally published in 2015 by the BCBS and the IOSCO. It began to rollout out in 2016 first capturing the world’s largest investment banks, but only in September 2020 will the majority of pension funds and asset managers be captured under the regulation. For firms dealing in derivatives, the regulations cause a real headache. In effect, they are forcing firms to hold more capital — or margin — against every derivative trade and for every risk position. It forces them to tie up more capital and increases their funding costs. More than 2,000 buyside firms come under the scope of the regulation next year. That means more than $2 trillion of additional margin will be posted by September 2020 across cleared and uncleared derivatives positions. And this rising demand will in turn only continue to drive up the price of high-quality collateral. OpenGamma’s sophisticated analytics solutions allow the world’s banks and fund managers to better understand and optimise their margin requirements and reduce their total trading costs. Even for the largest firms, initial and ongoing complexity makes the task of optimising margin dauntingly difficult and costly. The models used by CCPs to calculate margin requirements (which account for liquidity, default and credit risk) are based on varying pricing methodologies and different market reference data. Optimising margin requirements requires an understanding of how to efficiently allocate trades to CCPs and brokers on a pre- and post-trade basis — and this requires the consistent maintenance of 100s of interdependent models and which can keep up with constantly changing product coverage and data formats of CCPs, banks, and brokers. OpenGamma solves this problem. With unique coverage across banks and CCPs, its SaaS solution ingests in real-time clients’ portfolio, market and other reference data and runs it through its proprietary optimisation engine. It then provides not just a portfolio-level view of margin requirements, but also suggests rebalancing trades, transfers of risk across CCPs, and forecasts what-if scenarios for new risk and trades. It enables firms to attribute initial margin to particular desks or strategies, to rebalance margin by moving risk between CCPs or brokers, to explain changes in margin requirements day-to-day, and finally to minimise margin requirements for new trades. OpenGamma can also deploy rapidly and implement its solution within a matter of days. Customers are driving huge value from OpenGamma’s solutions. One client, a global tier-1 investment bank, was able to reduce its OTC cleared margin costs by 5.5%, a saving of c.$8m, with just a handful of trades. Meanwhile, a global fixed income hedge fund with multi-billion dollars of AUM trading relative value strategies, reduced its OTC cleared margin by 22% through better allocation of trades across clearing brokers. Historically clearing allocation decisions were back-office-led defined by operational ease/clearing technology solutions. Today, firms are increasingly aware that intelligent allocation of clearing business is a real bottom line contributor. Under the new regulation, hedge funds can now be charged a staggering 70% additional margin which can cripple returns. For funds which rely on derivatives product to express their positions, the ability to optimise margin, maintaining leverage whilst also maintaining sufficient levels of unencumbered cash, has the potential to become a key differentiator in commercial performance. Dawn believes that OpenGamma is uniquely positioned to deliver this value for its customers. The business has a clear technological and product moat and the deep relationships with the CCPs and banks necessary to build and maintain highly complex optimisation models. Peter and his team truly understand the problems their customers face operating in today’s derivatives markets, and it was clear in our conversations that these firms highly value OpenGamma’s expertise. They are fantastically positioned to expand their relationships with their customers and offer additional analytics as well as wider pre- and post-trade information, treasury and collateral services. In a market still served by traditional and on-premise software vendors, OpenGamma is leading the next generation of capital markets infrastructure providers supporting customers with sophisticated and flexible, cloud-deployed analytics solutions. The business has already seen rapid growth in the last 12 month with a 300 per cent increase in recurring revenues — and as UMR continues to rollout next year we believe growth will only accelerate. We are thrilled to be partnering with this top-notch team — in both the management team and advisory board there is already a wealth of talent with deep industry experience in the capital markets. We will join Accel, FirstMark, CME Group, JPX, and ex-SunGard CEO and industry veteran Cris Conde as investors. Our lead Fintech partner, Josh Bell, will also be joining the company’s board. 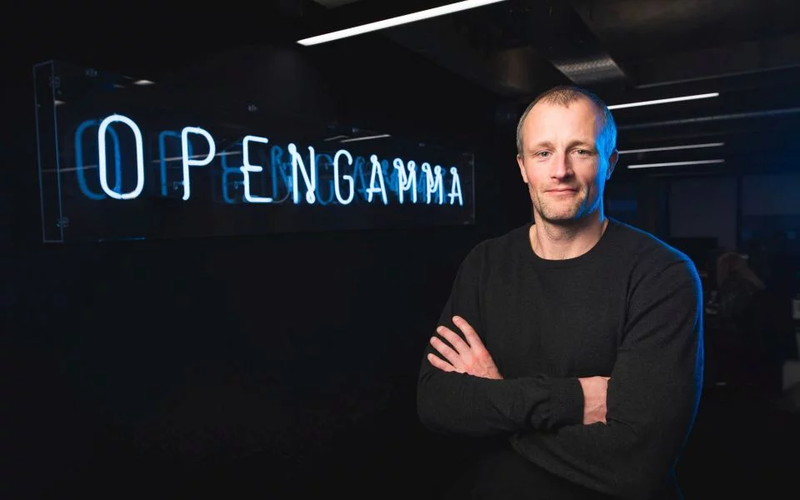 We look forward to supporting Peter and his team on the next phase of OpenGamma’s growth as they expand their product proposition and geographic footprint.